Heat oil in a Kadai. SautT bitter gourd first in low flame till it is cooked half-way (take care not to close the lid of the kadai as the condensed water can make the taste different). Then add beetroot & carrot cubes to it. SautT it again. Finally add onion and sautT till all the veggies are properly cooked. When the veggies are half cooked, sprinkle salt as per your taste. 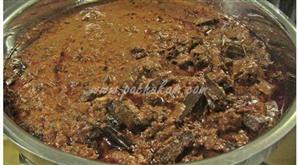 Add chilly powder and curry leaves and sautT for few more minutes till all the vegetables are properly cooked. 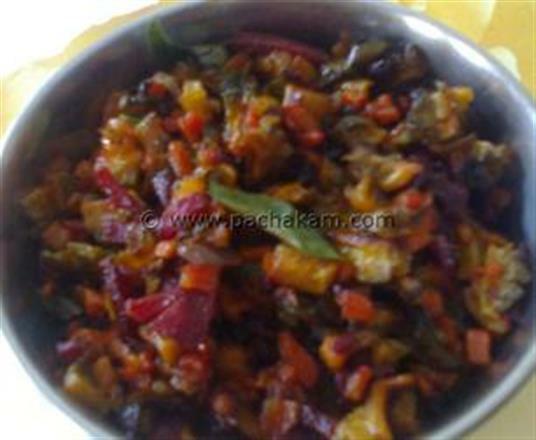 Bitter-gourd with mixed vegetable fry is ready. 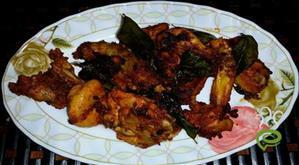 Believe me you will include bitter gourd in your weekly purchase after tasting this dish. Hope you all will post your comments after tasting the dish.